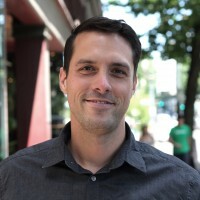 Nick Falbo is a Senior Planner at Alta Planning + Design, specializing in physical separated bike lanes, spaces for people, and transit oriented complete streets. Nick contributed to and illustrated the NACTO Urban Bikeway Design guide, the definitive guide to integrating bikeways into the fabric of American cities. Nick is shaping the field with cutting edge research into future bikeway design, popularizing the Protected Intersection design concept. Working at the strategic intersection of design, life, and transportation, Nick helps create active communities where bicycling and walking are safe, healthy, fun, and normal daily activities.